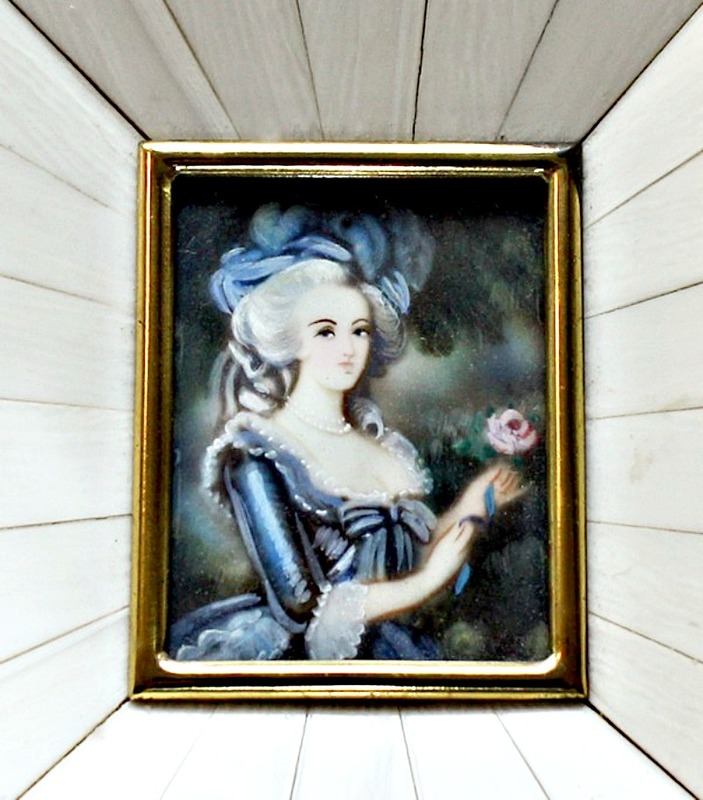 Beautiful miniature hand painted portrait of Marie Antoinette, painted after the famous oil painting by Vigée-le-Brun's of the 1785 portrait titled "Marie-Antoinette à la rose". 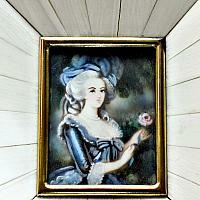 This miniature of the French queen is painted with tiny minute brushstrokes and bright, vivid colors on thin wafer. The decorative portrait was made in France, around the turn of the century. These smaller framed miniatures were beloved souvenirs from a Grand Tour in the late 1800's and early 1900's. 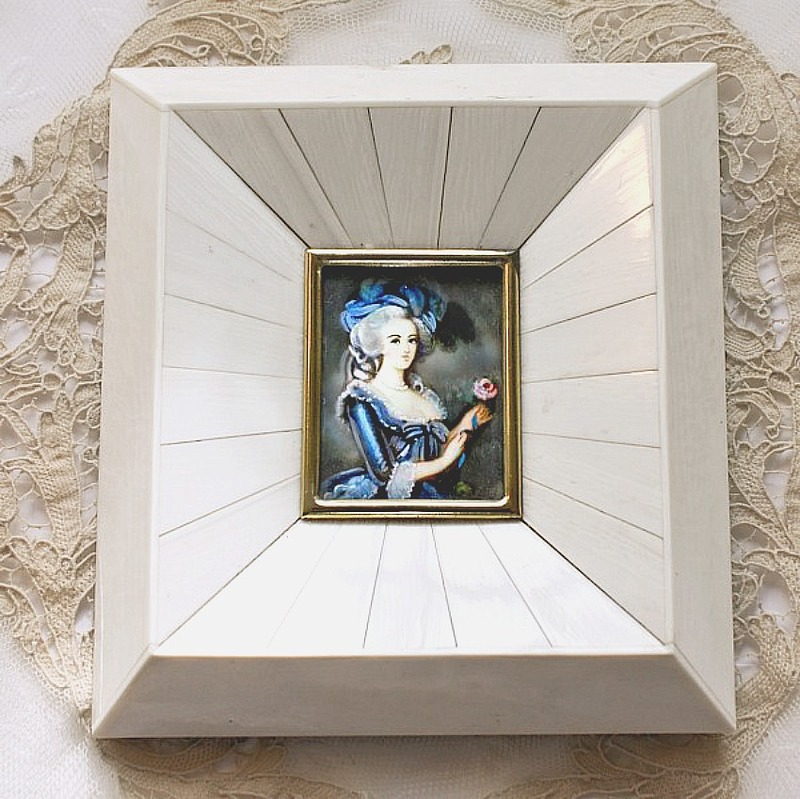 This is a tiny treasure, the frame is in wonderful condition with the paneled cream color. Made to display on a vanity, mantel or desk, the original fabric backing has aged but is in perfect working order, there is also a hook for hanging on the wall. A charming addition to your collection. Measures 4-1/4" x 4" x 3/4".